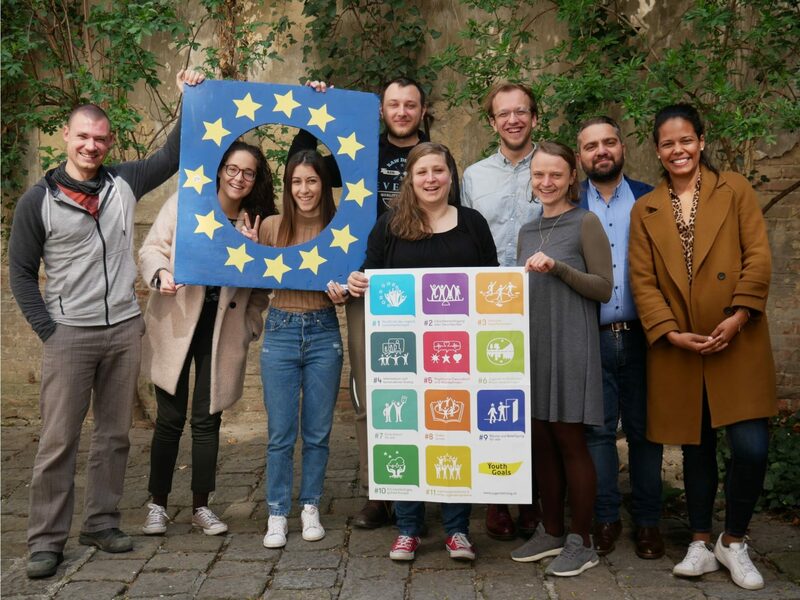 In the beginning of April five national youth councils (Austria, Croatia, Portugal, Germany, Cyprus) met to start a strategic partnership to cooperate on implementing the youth goals. In the framework of their current and future EU council presidencies and accompanied by the researcher Ondřej Bárta who also took part in VI Cycle of the Structured Dialogue when the Youth Goals were established, the youth councils plan to elaborate instruments supporting implementation of the Youth Goals. The project encompasses two main tasks: creating monitoring tools to implement the youth goals and coming up with a model kit for dialogue ambassadors to bring the EU youth dialogue to the local level. It is crucial for the EU Youth Dialogue to ensure that young people feel ownership of the whole process and are being heard. Taking into consideration that the Youth Goals were developed based on an EU-wide consultation with about 50.000 young people during the 6th cycle of EU Structured Dialogue, this project sets an ambition to respond to their engagement and move it forward. The project wants to further strengthen the EU-youth dialogue and aims to ensure participatory and evidence-based policy making. The project will run until mid-2020 and provide solid knowledge basis to enable smooth Youth Goals implementation.